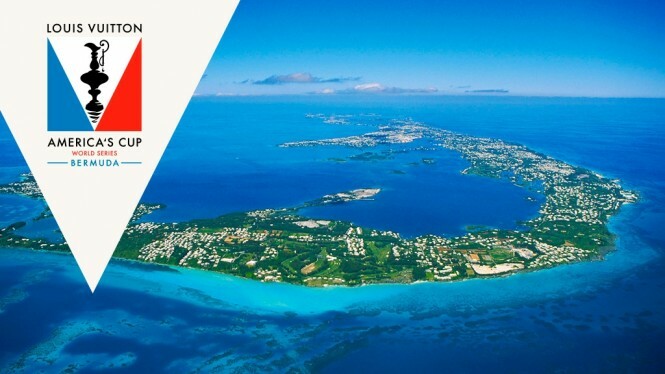 Sailing yacht MONDANGO 3 invites you to come aboard and take part in the 35 America’s Cup in Bermuda. She is available at an exclusive rate from late May until the end of June 2017. Mondango 3 has a secured berth at the event and offers a large aft deck and cockpit, as well as the flybridge for outstanding viewing. The event includes the Cup Qualifiers, Cup Challenger playoffs, The Match, the Superyacht Regatta, the J Class Regatta and the Red Bull Youth America’s Cup, which you are welcome to join when chartering Mondango 3. 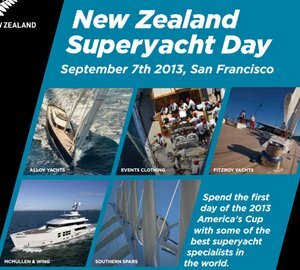 Mondango 3 was launched in 2013 and built by Alloy Yacht in New Zealand. 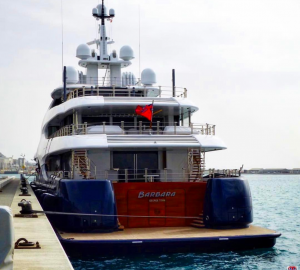 Her stunning exterior design is by Dubois Naval Architects, while the contemporary interior design is by Reymond Langton Design. The beautiful deluxe furnishing, outstanding attention to detail, sumptuous seating and dining area create a fantastic atmosphere for socialising. 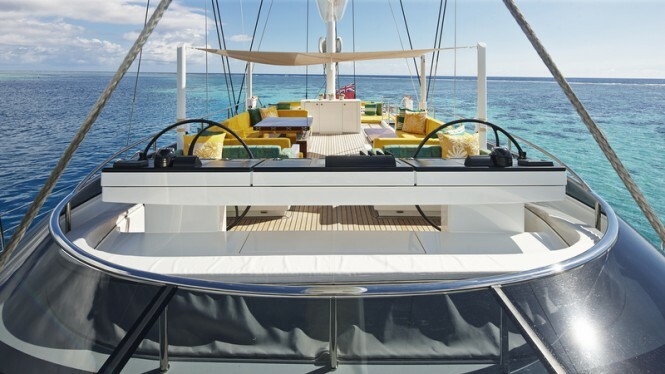 While at anchor Mondango 3 carries 25 guests and is large enough to host a vibrant party. 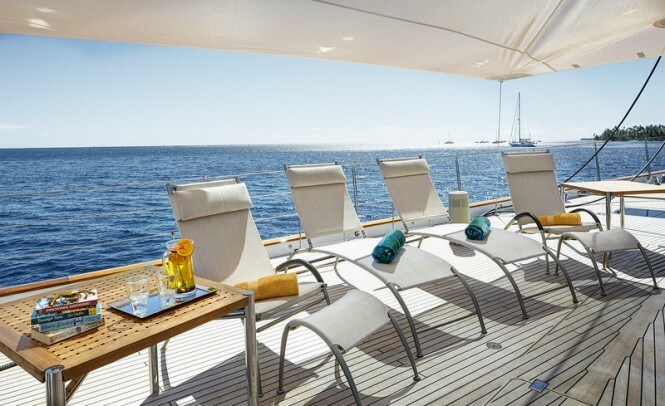 Some luxury extras aboard sailing yacht Mondango 3 include aft deck spa pool, sunbathing area and plenty of space for socialising. 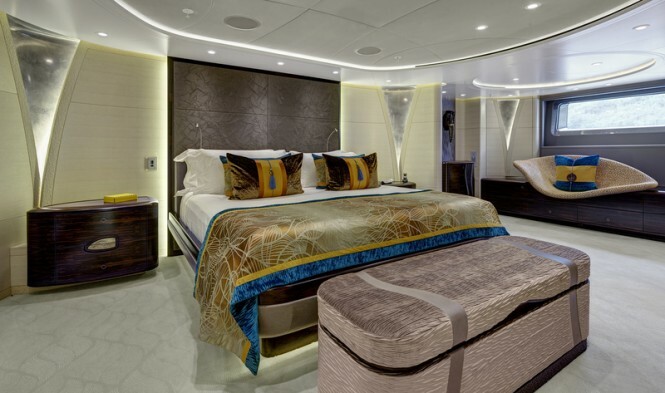 Accommodation onboard is for a total of 11 guests in 5 lavish staterooms: a master stateroom, two double cabins and one Pullman bed. A highly professional crew of 9 will take care of everything onboard, while guests will enjoy the thrilling America’s Cup. Take advantage of a 20% discount on a two-week booking (EUR 358,000) or 10% on a one-week booking (EUR 200,000). 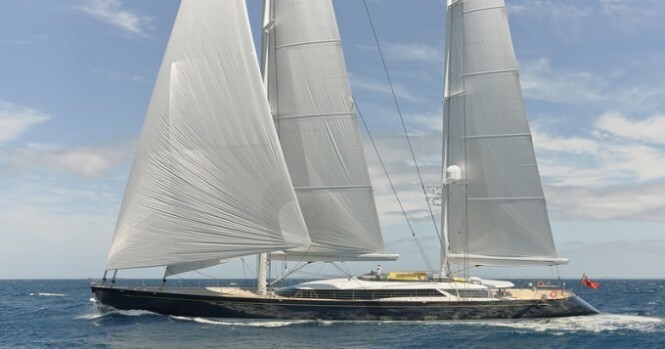 To secure sailing yacht Mondango 3 please contact out charter brokers. 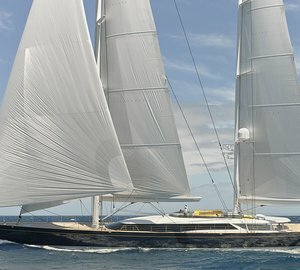 Please contact CharterWorld - the luxury yacht charter specialist - for more on superyacht news item "Attend America's Cup In-Style aboard Sailing Yacht Mondango 3".